When it comes to moving home, you will be looking for a reputable removal company with services that others recommend. You only need to look at our reviews to see that we deliver an exceptional 5 star service. 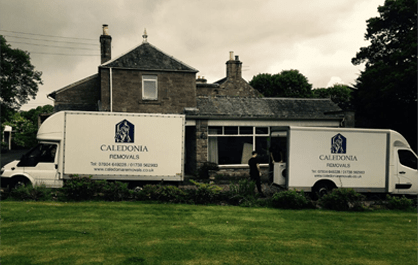 Set up in 2013, Caledonia Removals are a local company you can trust with an open and transparent pricing structure. We understand that every move is unique and where possible, we will come and meet with you prior to move day ensuring there are no surprises and answer all questions you may have. 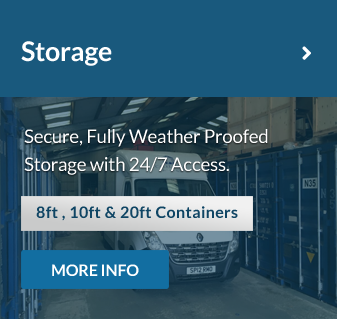 Whether you are domestic or business or moving locally, nationally, require storage, packing service or simply need materials give Caledonia Removals a call or drop us an email and our friendly knowledgeable staff will be on hand to cater for your every need. All our staff are professionally trained and our moves are well planned, smooth operations. We take care of all the heavy lifting from your upright piano to your American fridge freezer. 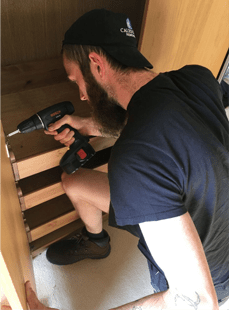 We can dismantle and assemble where required including disconnecting your washing machine to reconstructing your children’s bunk beds. 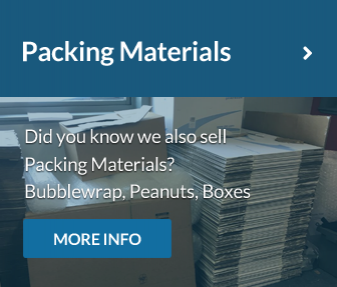 Whether you need us to simply drop off materials or take advantage of our professional packing service, we have all angles covered. We will securely transport your belongings leaving you safe in the knowledge all your items will be handled with the utmost care. We have full insurance in place to the value of £25k per single article allowing you a stress free move handled safely by professionals. "I had Kyle & Andy help me pickup and transport a piece of art from London I was thrilled to see how passionate the pair are about their work and eager to please,the item was well protected with their bubble wrap and strapped to the inside of their van so it couldn't move. They even put it on the wall for me as well. Will not hesitate to use Caledonia Removals again delighted with their efforts." "Just a small note to thank you for the wonderful service you provided for me. 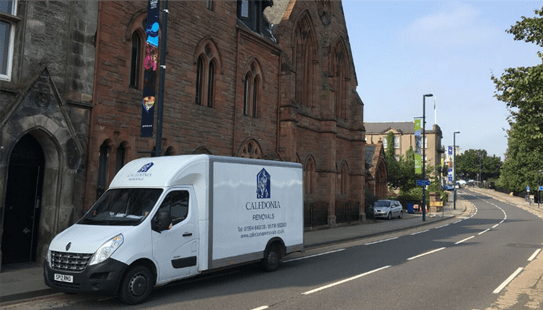 Moving home was supposed to be stressful but Caledonia Removals made it easy. At the same time providing great care and attention. Thank you!" 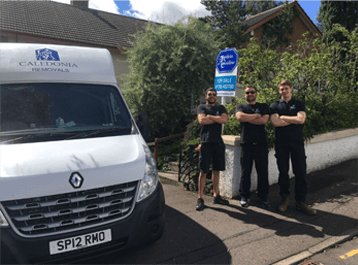 "This is the second time I have used Caledonia Removals and I honestly cannot thank them enough. Kyle and Tam offer a service which is a cut above the average removals company. The aporach they have to dealing with customers is something to be admired and I wish them and their business all the best in the future.